Did you know that some types of ferns can live to be 100 years old? That means my porch ferns could outlive me. who knew having plants could be so stressful? I’m sure if I bequeath my knockoff olive buckets with the ferns, people would be lined up around the block to give my ferns a good home (hopefully crying uncontrollably at my sudden passing). These are my new favorite planters and were a cinch. 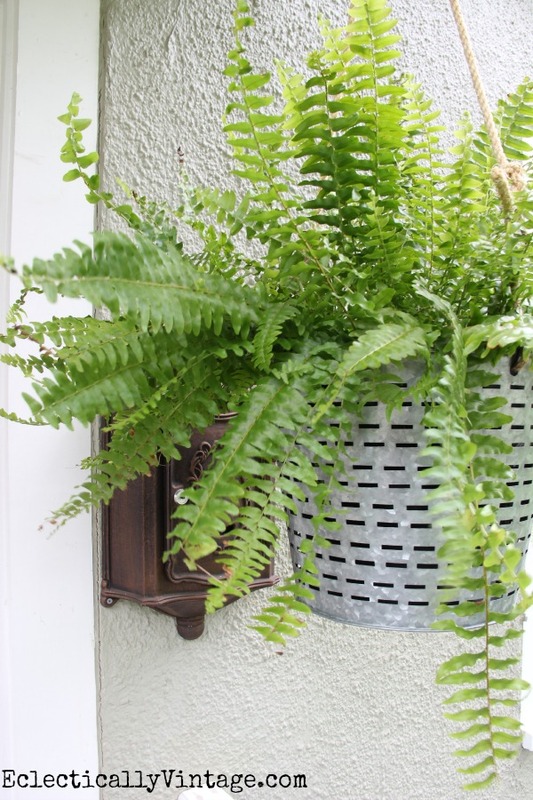 I didn’t even take the ferns out of their plastic pots – just removed the plastic hanging thing-a-ma-jig, plopped them into the buckets and hung them with a rope. and go to a good home. Those planters are absolutely gorgeous! Thanks for sharing. 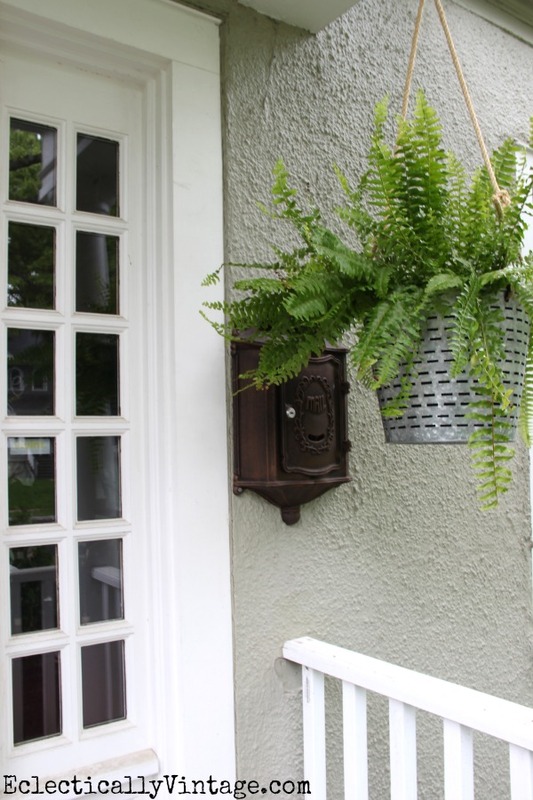 Ferns are my all-time favorite for my front porch. It’s one of the only plants that actually survive under my care! 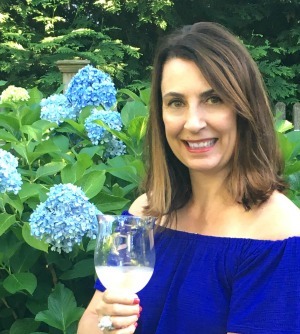 Hi Laura – the olive buckets are from Target! Yep just tied rope to the handles! wish all of you lived near me to pull up as MUCH of that fern as you wanted. IT’s very invasive in my yard and gets thrown away by the barrel full yearly!!!! It’s even worse this year! Planter pots are really nice though! Oh Kelly, leave it to you to create a hanging planter from an olive bucket!…Love it!..looks great!! 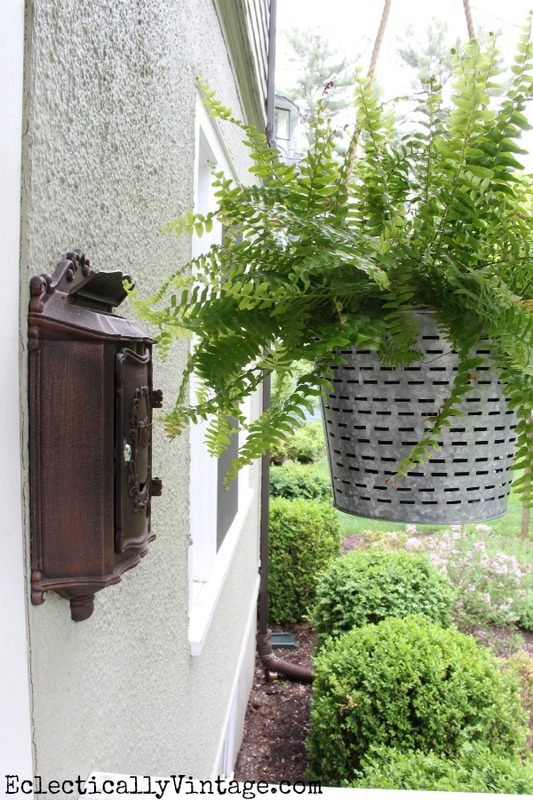 I love the big old Boston fern baskets. My mom used to have them all over the patio. So very pretty! My fern is only two years old and has it’s own vintage fern stand. I hope it’s happy enough in there to live to be 100! Oh my…I’ve been buying the wrong ferns!! I’ve only had one set on the porch ever that lived 2 years! 😉 LOVE the buckets…what a fabulous idea Kelly! I always hang them up in the ugly black ones they come in…might have to change that! Where would one find knockoff olive buckets? I have never even heard of them, much less seen them anywhere! Hi Karen – the olive buckets are from Target! I don’t think ferns do well in full sun – but any flower would look amazing in them! Beautiful ferns. Love the bucket planters! You’ve got GREAT problem in your hands Kelly – my ferns don’t last ’til summer – they die on me too quickly and I’ve tried plant food, watering adequately, I think it’s too much sun, so I need to find replacement ones fast! 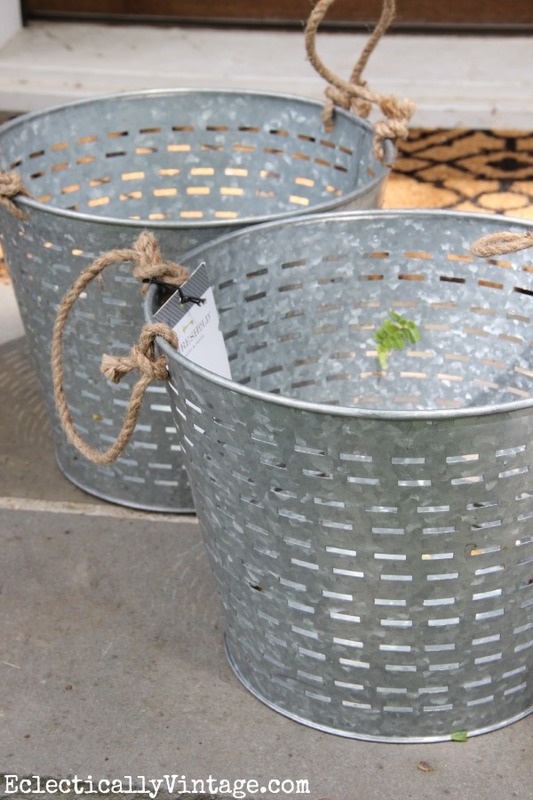 Anyhow, love your buckets, they look really pretty with those ferns in them! Perfect planter. You have good touch and perfect climate for them to grow so prolifically. 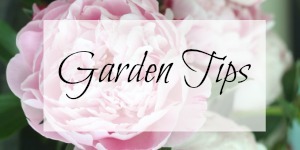 Great idea to hang then up out of way, get lots of good fresh air in the buckets. Did you get the olive buckets recently and where if you did? I want one (at least) of those but don’t see them here. Don’t see lots of things bloggers post about here (Grand Junction). It’s very frustrating. Found one olive bucket at Target on clearance couple weeks ago but was still out of my price range. Guess I’ll have to live without one dadgumit. Wish I could make my own but think that’s a job bit too much for me. Mine are from Target – hope they get marked down more! I know my comment is WAY after the fact, but I couldn’t pass. I can’t seem to manage to get a fern to last through 1 SEASON, much less 100 years. If you have had better success, please share any tips you can think of!